Dark Souls 3 has a lot to live up to. 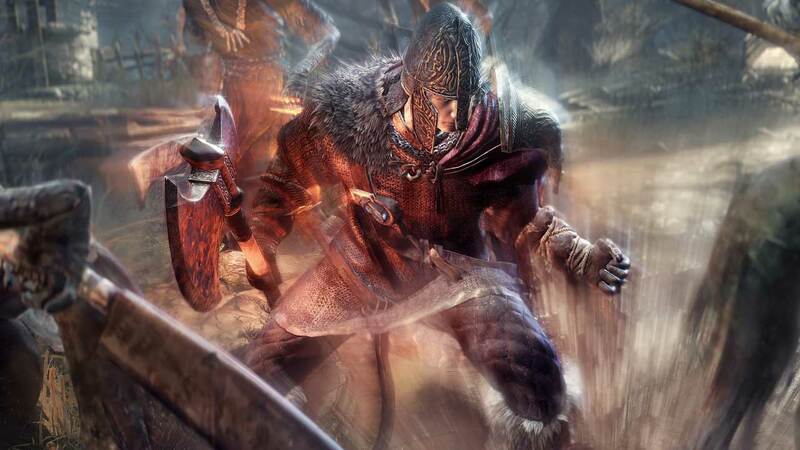 Does From Software’s latest live up to the hype – and the expectations of its most fervent fans? While my previous four hour hands-on with Dark Souls 3 was enlightening, the setting of a packed press event and such a short period of time to play isn’t the ideal place to get a true idea of what a full and final game is, especially in the case of a series as nuanced as Souls. At last I can remedy that – I’ve been playing the final English version for a while now, and while typical embargo stuff prevents me from talking about the whole game just yet, it seemed right to offer an update after my first twenty-or-so hours exploring the withered world of Miyazaki’s latest. The greatest trick Dark Souls 3 has managed to play on me so far hasn’t been some jump scare, the sudden shock of a boss switching into its second form or a story twist. It’s been how its earlier and more gentle segments lured me into a false sense of security. First, some housekeeping: I won’t be spoiling details around story or the identity of bosses, but I will be broadly talking about the first half or so of the game. If you’re super spoiler sensitive, you’ve been warned. Back on that press trip I was told that the difficulty of the demo had been scaled back a little to ensure that everybody would be able to see everything on offer. If I’m honest, I’m not sure I could really notice a perceptible difference in the segment of the game that was present in the demo, but those worried that Dark Souls 3 is watered down can be happily assured that the difficulty does indeed ramp up as you progress. That’s the greatest trick Dark Souls 3 has managed to play on me so far – it hasn’t been some jump scare, the sudden shock of a boss switching into its second form or a story twist that’s got me the best. Instead, it’s been how its earlier and more gentle segments lured me into a false sense of security. ‘Oh,’ I thought over the first few hours, ‘this is clearly designed to be a bit easier.’ To me it felt even more forgiving, in fact, than when I first played it at Gamescom last year, though that might just be me getting my Souls groove back. I know a couple of other people also playing early either because they’re press or because they’ve imported from Japan, and our early conversations revolved around how, well, it wasn’t very hard. Embers are limited, for instance, but when used add 25% to your health bar. The addition of the Ashen Estus Flask, which is used to restore the newly added skill meter, means that non-magic users can carry an absolute shed-load of health restoratives. As a result very early on it didn’t feel as gruelling – it’s true. Fast forward a few days and I’d completely changed my tune; one particular boss had me bouncing off him like a brick wall for hours without even reaching his second form, and he’s followed by one of the most challenging gauntlets I’ve seen in one of these games, a series of narrow, easy to topple off rooftops populated by heavily-armoured enemies with attacks that are equally powerful at range and up-close. Suddenly, the game turns brutal. At that point, it’d already been brutal for a while. Very early on it didn’t feel as gruelling – it’s true. Fast forward a few days and I’d completely changed my tune. Pne particular boss had me bouncing off him like a brick wall. Dark Souls 3 does compromise in some senses, but where it does it’s smart. One nasty enemy in particular comes to mind, with its ability to reduce your overall maximum health as punishment for just being in its eye-line. It’s terrifying. Once said enemy is dead, your maximum regenerates back to normal but remains empty, thus still costing a valuable heal and leaving you more vulnerable while you wait for your health bar to grow again. It instills panic, and manages to be simultaneously be hard and fair. Frustrating as it sometimes might be to bite it while on your way back to pick up 20,000 dropped souls, this is when Dark Souls 3 is at its best. There is absolutely an element of risk in its design – it’s a blend of the original Dark Souls, more friendly systems from the second game and Bloodborne-esque movement. On paper these things together could very easily blend to make everything a whole lot easier. For the first few hours of Dark Souls 3 that was my concern, but as the game progresses it seems to catch up with those additions, and with it the difficulty ramps up nicely. It’s also worth noting that I’ve been playing your basic sword-and-board knight, hardy and able to take a bit of a beating. From my thus-far limited experimentation with other classes it seems many of those will provide interesting difficulty wrinkles of their own. Based on the two-hits-then-death beatings I’ve taken off some bosses I couldn’t imagine playing a more fragile class right now, though masochistically I’ll likely eventually do just that – and to me that’s precisely what Souls should be all about. I’ve a lot more to say about Dark Souls 3, about its structure, console performance, world design, story delivery, and the ways in which it seems to link back to previous games – but that’s something for another time. 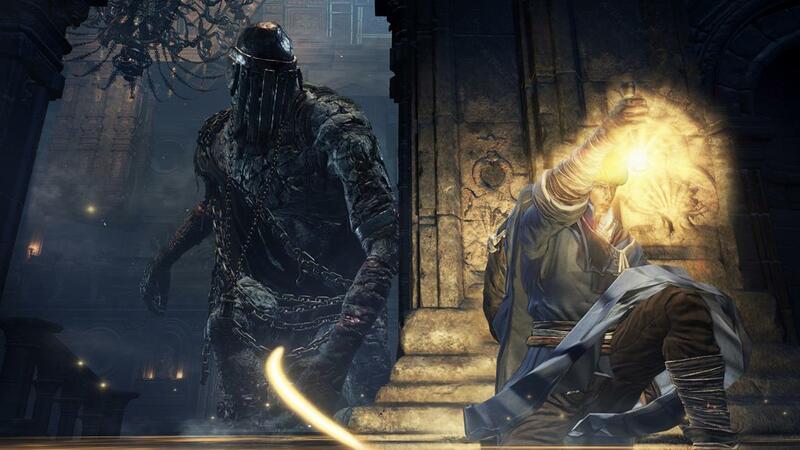 For now, rest assured: Dark Souls 3 definitely hasn’t gone soft, and it feels damn good. Look out for our full Dark Souls 3 review soon.